Given that we use contractions so often in our speech, it’s important that our kids know how to use these words in writing. Knowing when to use contractions in our writing can improve the overall flow of certain sentences. When you introduce this skill, it’s helpful to begin by defining the word “contract”. Since “contract” means to get smaller or shorter, your child will soon understand that a contraction is “a shorter way to say two words.” These activities will give your child ample practice as he works towards understanding that an apostrophe fills the space of those missing letters. Given that we use contractions so often in our speech, it’s important that we teach students how to use these words in writing. Knowing when to use contractions in our writing can improve the overall flow of certain sentences. When you introduce this skill, it’s helpful to begin by defining the word “contract”. Since “contract” means to get smaller or shorter, your students will soon understand that a contraction is “a shorter way to say two words.” These activities will give your students ample practice as they work to understand that an apostrophe fills the space of those missing letters. Give your students practice shortening phrases into contractions and expanding contractions into phrases. 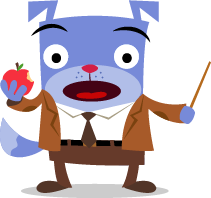 Help your fifth grader practice spelling contractions and identifying the words they stand for by zapping them with the contraction shrink ray! Boost your fifth grader's contraction knowledge with this worksheet that challenges him to transform words into contractions. Give students practice shortening phrases into contractions and correctly placing that apostrophe. 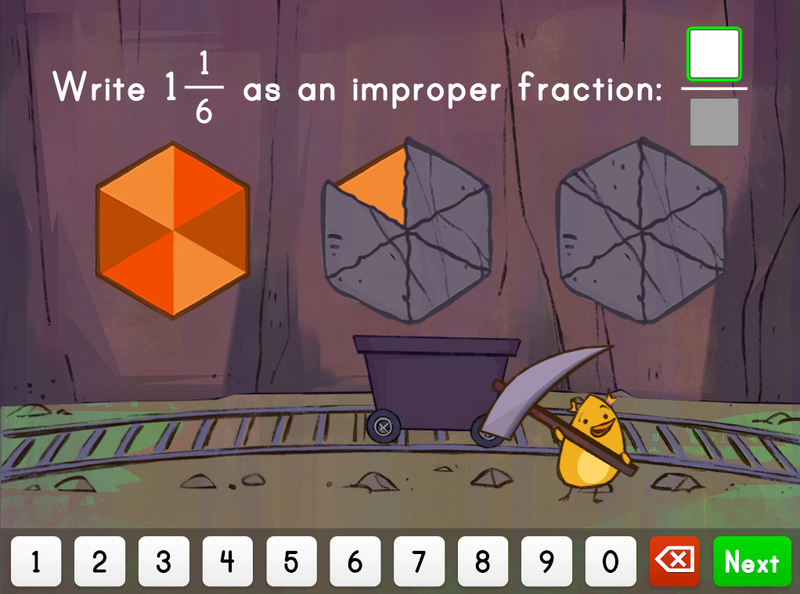 It's helpful for kids to see fractions in lots of different forms. 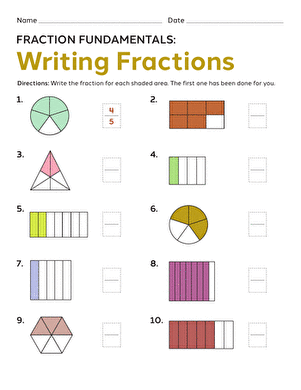 Introduce your child to fractions with tape diagrams, divided shapes, and number lines. Use a chocolate bar as a fun and yummy way to demonstrate equivalent fractions. Teaching your child to compare fractions by drawing area models can help them understand the topic conceptually. It's helpful for students to see fractions in lots of different forms. 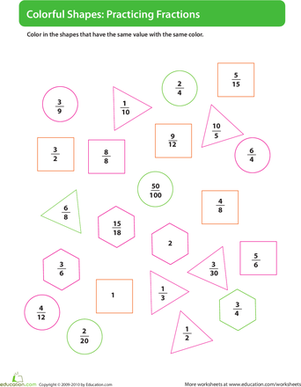 You can introduce them to fractions with tape diagrams, divided shapes, and number lines. Use a chocolate bar as a fun and yummy way to demonstrate equivalent fractions. Teaching students to compare fractions by drawing area models can help them understand the topic conceptually. Here's a challenging math worksheet for your 4th grader: your child must put each set of fractions in order from greatest to least. During reading, good readers make predictions about what is going to happen next, or what ideas or evidence the author will present to support an argument. They tend to evaluate these predictions continuously, and revise any prediction that is not confirmed by the reading. Encourage your child to explain their predictions by giving evidence. These resources will help your child interact with texts on a more meaningful level and improve her reading comprehension. Good readers make predictions as a way to connect their existing knowledge to new information from a text in order to gather meaning from what they read. Before reading, they use what they know about an author to predict what a text will be about. 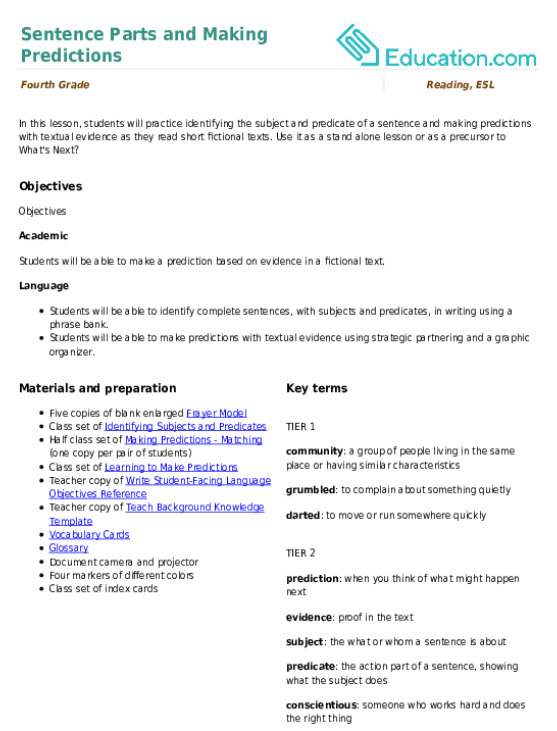 The title of a text will trigger memories of texts with similar content, allowing them to predict the content of the new text. During reading, good readers may make meaningful predictions about what is going to happen next, or what ideas or evidence the author will present to support an argument. They tend to evaluate these predictions continuously, and revise any prediction that is not confirmed by the reading. Encourage students to explain their predictions by giving evidence. Use an open-ended graphic organizer to help your students identify the problem and solution in three stories. Use this organizer to draw comparisons between problems and solutions in fiction texts. Students will practice making and adjusting predictions about their texts. Use these task cards to get your reflective readers making and adjusting predictions about their texts. Guess what comes next! Teach your students to make a prediction based on textual evidence. 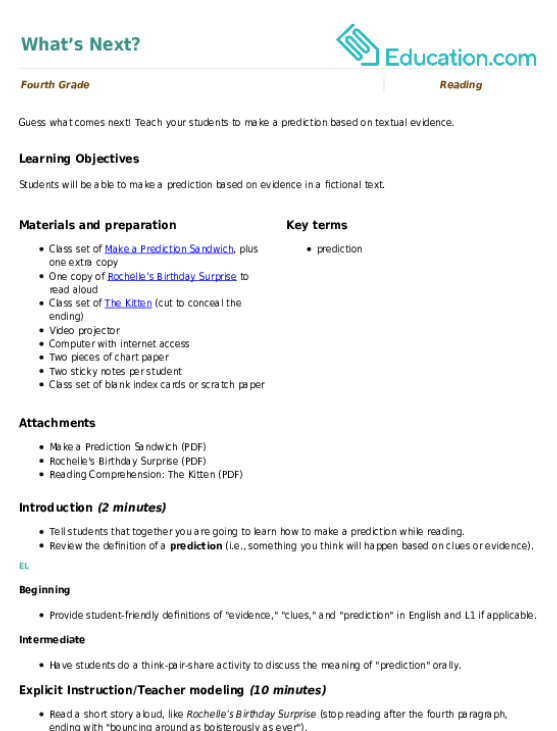 In this lesson, students will practice identifying the subject and predicate of a sentence and making predictions with textual evidence as they read short fictional texts. Use it as a stand alone lesson or as a precursor to What's Next? 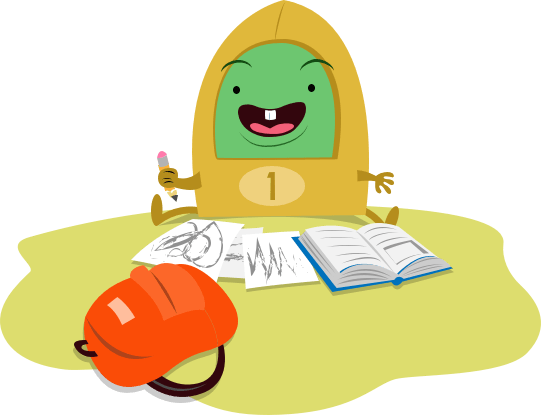 Writing a strong introduction and conclusion is a key skill for your fourth grader to master. Learning how to hook a reader with a powerful beginning sentence will make your child better writers. A conclusion that ties up loose ends, emphasizes the main points, while also leaving the reader with some sense of wonder makes a piece of writing strong. Use these resources to help teach specific strategies on how to write captivating introductions and conclusions. Writing a strong introduction and conclusion is a key skill for your fourth graders to master. Learning how to hook a reader with a powerful beginning sentence will make your students better writers. A conclusion that ties up loose ends, emphasizes the main points, while also leaving the reader with some sense of wonder, makes a piece of writing strong. Use these resources to help teach specific strategies on how to write captivating introductions and conclusions. Students will practice writing strong leads for their literary essays.